For over 200 million asthma sufferers worldwide, upholstered home furnishings and textiles can really exacerbate their condition, often leading them to go without. 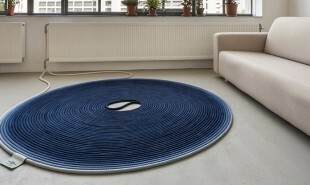 Now, Fervent Carpet from Studio Siem-Pabom could provide a solution: the coiled rug connects to the radiator and once heated, kills off the dust mites living within it. 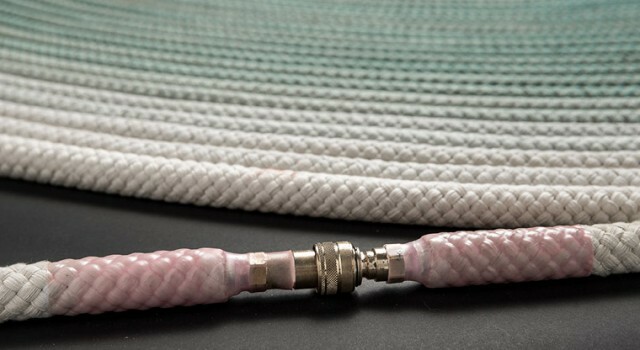 Fervent Carpet is a home fixture made of two lengths of rope dipped in a rubber coating. The device can be connected to the radiator every two months or so, via hydraulic connections. Then, the warm water circulates through the carpet, heating it to 60 degrees, killing off the dust mites and simultaneously providing eco-friendly floor heating. Once disconnected from the radiator, the two ropes can be connected, forming a loop. Fervent Carpet comes in royal blue or dark green. Could other interior designs use these features?